Powered entirely by renewable energy, the AutoNaut is capable of long-duration at-sea missions. Patented Wave Foil Technology converts energy from the pitch and roll of the waves, an extensive range of sensors can be powered by solar energy. Autonomy means the USV can be deployed anywhere in the world, including hazardous marine environments. A satellite link enables the transfer of data and remote operations from the safety of a shore base. 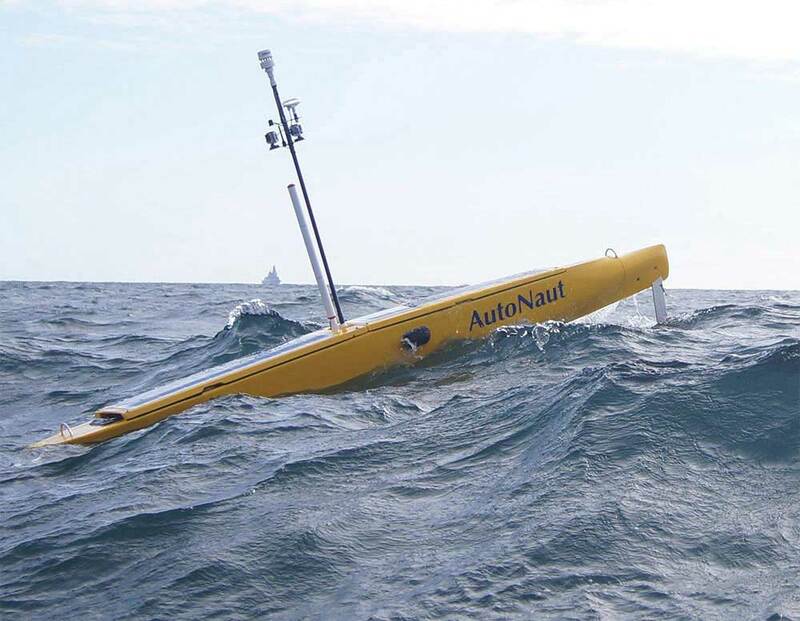 AutoNaut USV offers a unique set of capabilities for versatile data collection over long-duration offshore missions. Through all wave directions the vessel is propelled forward by four keel-mounted foils positioned fore and aft. In flat calm, the system can be assisted by an auxiliary propeller. Extensive hydrodynamic testing has refined the technology, field-trials and missions have proven its robustness in stormy seas.